POWERSCOUT® was selected as one of the top 2017 innovations within the UK healthcare sector at the annual IHEEM Healthcare Estate awards. The continuous monitoring and reporting system developed by the Bender Group safeguards critical power systems within healthcare facilities as it identifies faults early, enables pro-active maintenance and helps eliminate unplanned shut-downs. POWERSCOUT® integrates the data from Bender and third party measuring and residual current monitoring devices, generating clear and detailed visualisations and reports on the health and condition of the infrastructure it measures. 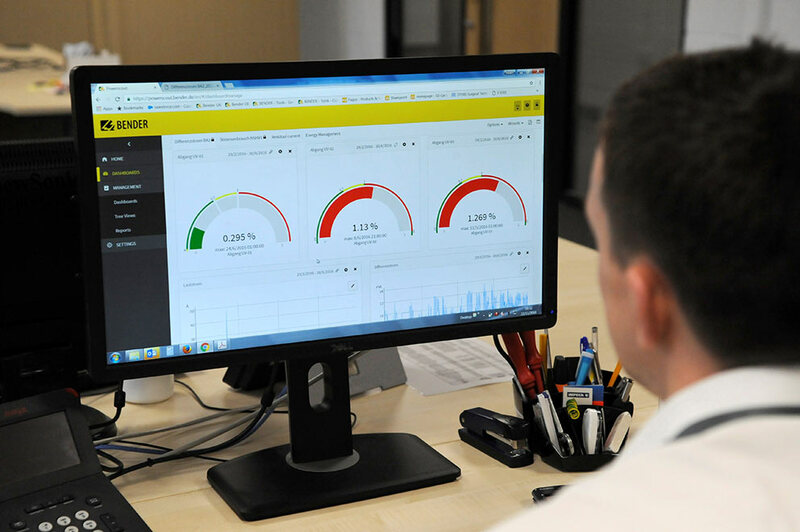 Through continuous monitoring the software solution gives estates personnel immediate a real-time picture of the entire data for single or multiple sites. Recorded data from devices allows users to compare the power system performance of different buildings or facilities with the measured values it continuously collects. The automated reports on residual currents and power quality can also form the basis for verifying the integrity of the system without switch off. POWERSCOUT® enables facilities managers to track and manage energy use more effectively. It supports the analysis of the device data and documents the condition of the electrical installation, providing an up-to-date picture of the state of a user’s system. It is suitable for a range of industrial and healthcare applications and is used to monitor the site of Bender UK in Ulverston, Cumbria.